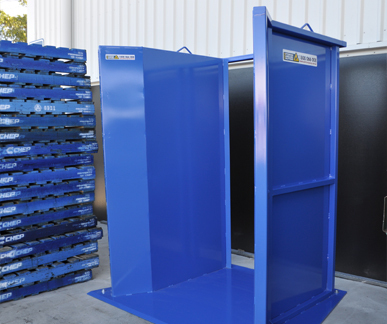 The PW1500 Pallet Wedge is used for straightening stacks of standard Australian Chep or Loscam style pallets. 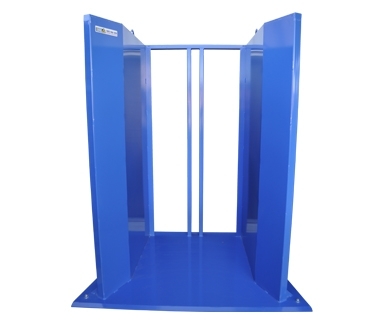 This unit helps align pallets side-to-side and front to back. This pallet wedge can be used indoors or outdoors and uses no electricity. Feeling uneasy about using the wall or a structural support column to straighten pallets. In just seconds the Optimum Pallet Straightener can make sure a stack of pallets is perfectly squared and ready to go. 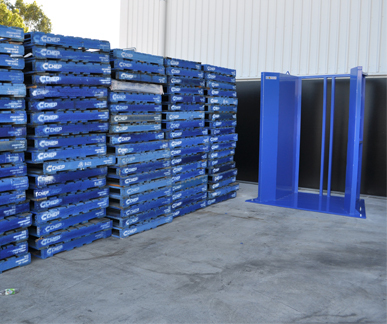 If you'd like more information or if you have any enquiries about 15 Pallet Capacity Pallet Straightener, please call 1800 066 008 or click HERE to contact us online and we will contact you. 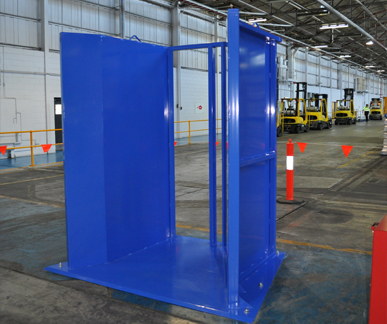 The PW2000 Pallet Wedge is used for straightening stacks of standard Australian Chep or Loscam style pallets. 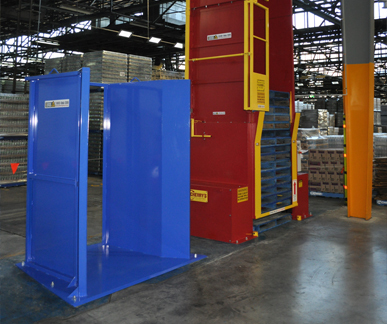 This unit helps align pallets side-to-side and front to back. This pallet wedge can be used indoors or outdoors and uses no electricity. Feeling uneasy about using the wall or a structural support column to straighten pallets. In just seconds the Optimum Pallet Straightener can make sure a stack of pallets is perfectly squared and ready to go. 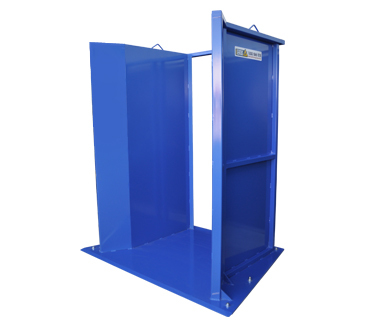 If you'd like more information or if you have any enquiries about 20 Pallet Capacity Pallet Straightener, please call 1800 066 008 or click HERE to contact us online and we will contact you.